Since launching the first edition of the Space Diary in 2015, we have received so many wonderful comments from teachers across the UK. So, before producing the second edition, we asked teachers to complete an evaluation and commissioned a teacher consultant to do a detailed review of the Space Diary. This resulted in a list of excellent suggestions for improving the Space Diary and we have incorporated all of these into the new 2017 Space Diary programme. 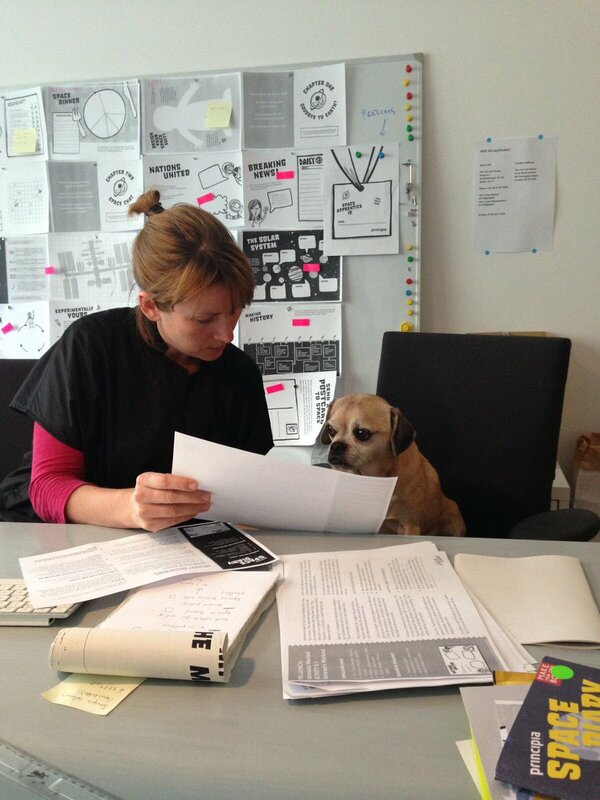 Here’s Publisher Kristen explaining the new features to our space dog Sam! You told us the whiteness of the paper might make the Space Diary a little difficult to read. We are now printing the diary on a cream paper (called Munken) to aid those with reading difficulties. This initially presented some production challenges because of the cost of paper but we are pleased to say we have found a way to do it. You told us curriculum links would help you use the Space Diary in the classroom. We now have detailed curriculum links and differentiation ideas for teachers to adapt the Space Diary to specific levels and abilities. These have been designed by teachers in England, Wales, Scotland and Northern Ireland so they are relevant to each independent curriculum. See the Curriculum Planner for your region. You suggested there could be more digital features that are for students, rather than teachers. We now have three coding activities designed in collaboration with Code Club UK and Raspberry Pi. We also have Zap codes throughout the Space Diary that allows children to access extra content like official ESA videos and photos from Tim Peake’s space mission and answers to the quiz questions. You said the timing of the content being released with the first Space Diary was difficult to follow and didn’t always work with your own schedules. We’ve changed things so that all the content is available at once, rather than month-by-month, and you can determine your own timings. The only deadline you have is to complete your Space Diaries by the end of July so you will be eligible for a graduation certificate. 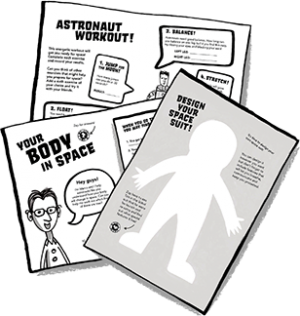 Some of you have been creating your own worksheets and lesson plans for the Space Diary and have been sharing these with us so that other teachers can benefit. This is such a wonderful addition to the 2017 Space Diary and we are particularly grateful to Claire Loizos for designing the blank lesson plan and student self-evaluation templates. Thanks Claire! Can we do even better? Tell us how! Email info@curvedhousekids.com with your comments.